England's best city within two hours of London is beautiful, historic Bath. The city is popular and expensive, but it's a joy to visit. And rather than deal with London's intensity right off the bat, I like to take the train from the airport to London's Paddington Station and then hop on a connection to this more relaxed and elegant example of urban England. 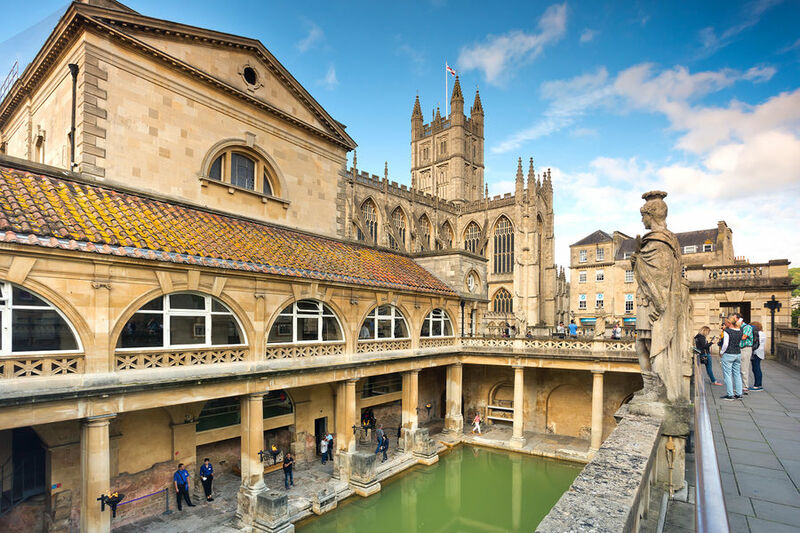 Bath was a joy even in ancient Roman times, when patricians soaked in the city's mineral springs. From Londinium (today's London), Romans traveled so often to "Aquae Sulis," as the city was called, to "take a bath" that finally it became known simply as "Bath." Today, a fine museum surrounds the ancient bathing site. 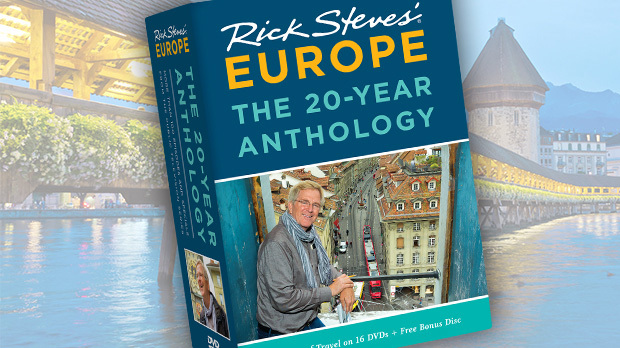 With the help of a great audioguide, visitors can wander past well-documented displays, Roman artifacts, excavated foundations, and the actual mouth of the health-giving spring. Bath later prospered as a wool town, building its grand abbey about 500 years ago — the last great medieval church built in England. The abbey's facade features a very literal Jacob's Ladder — with angels going up…and down. The interior has breezy fan vaulting and is lit with enough stained glass that it feels like the inside of a giant lantern. By the middle of the 1600s, Bath's heyday had passed, and its population dropped to about 1,500 people — just a huddle of huts at the base of the abbey. Then, in 1687, King James II's wife, Queen Mary, struggling with infertility, came here and bathed. Within about 10 months she gave birth to a son. A few decades later, her stepdaughter Queen Anne came here to treat her gout. With all this royal interest, Bath was reborn as a resort. 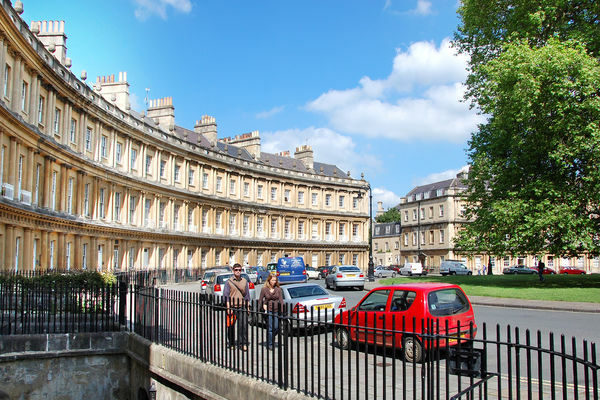 Most of the buildings you'll see in Bath today are from the 18th century — the cityscape is a triumph of the Neoclassical style that dominated the Georgian era, most of it built from the same honey-colored limestone. Free, fascinating town walks are offered every day by volunteers who bring to life highlights of this Georgian heritage — such as the Circus and Royal Crescent building complexes. The Circus is like a coliseum turned inside out, with Doric, Ionic, and Corinthian capital decorations that pay homage to its Greco-Roman origin — a reminder that Bath (with its seven hills) aspired to be "the Rome of England." About a block away, the Royal Crescent is a long, graceful arc of buildings — impossible to see in one glance unless you step way back to the edge of the park in front. You can go inside one of these classy facades at No. 1 Royal Crescent, now a museum where you can see how the wealthy lived in 18th-century Bath. During the Georgian era, Bath was the trendsetting Tinseltown of Britain, where the filthy rich went to escape the filthy cities. A professional gambler named Beau Nash followed his clients (and their money) to this resort town — and then acted as its one-man tourism promotion department. He organized daily activities, did matchmaking, and helped spiff up the city. Today, his statue stands above the Roman baths. You can see how natty Georgian-era folks dressed at the Fashion Museum — which exhibits historic garments from every era since the days when there were no right or left shoes, all the way up to the present. A major feature of the museum is the "Dress of the Year" display, ongoing since 1963. Above the Fashion Museum, you can view the city's historic Assembly Rooms, where card games, concerts, tea, and dances were held (before fancy hotels with grand public spaces made them obsolete). After a day of sightseeing, street theater is a fun evening option and a ritual for me in Bath. The best hour and a half of laughs I've had anywhere in Britain is on the Bizarre Bath Comedy Walk. 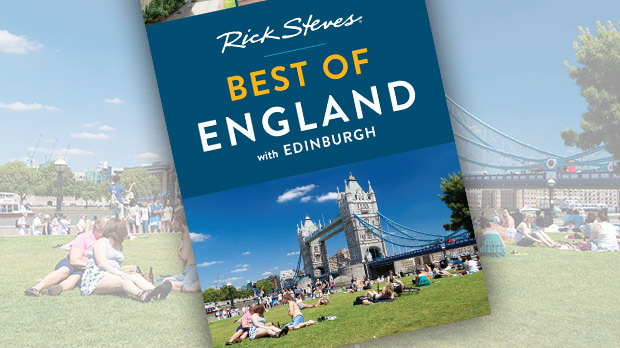 They promise to include "absolutely no history or culture" during their wander of Bath's back lanes. Listening to the guides is always a delight — they may tell the same old jokes, but they're spiced up with a sharp, ad-lib wit that plays off the international crowd. I also enjoy the Thermae Bath Spa, particularly during chilly evening visits, when Bath's twilight glows through the steam from the rooftop pool. It's pricey, but it's the only natural thermal spa in the UK, and your one chance to actually bathe in Bath. Another of my favorite cappers for a day in Bath is heading to a pub to have scrumpy — "hard hard cider." It's notoriously strong: When I last ordered it, everyone stopped what they were doing just to see what would happen. From its evening indulgences to its elegant architecture, Bath combines beauty and hospitality better than most. It's a place drenched in history, but made for relaxation.